Home » Hormone Replacement Therapy – What Is it and when Do You Need it? As the name implies, hormone replacement therapy (HRT) uses medication that contains female hormones to replace those that the body can no longer produce when menopause sets in. In earlier times, HRT was also believed to prevent heart disease and even dementia. 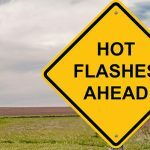 You have moderate to severe hot flashes and other unpleasant menopausal symptoms that affect your quality of life. You experience a significant bone mass loss and other treatments don’t seem to work. You experienced premature menopause (you stopped having periods before the age of 40). You suffered from premature ovarian insufficiency (you lost the normal function of your ovaries before the age of 40). 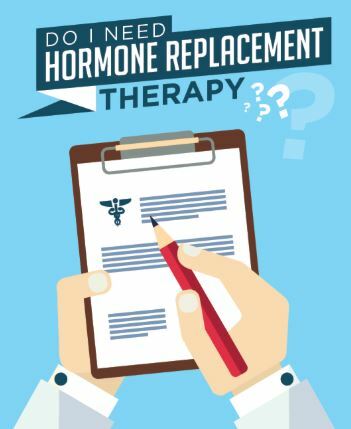 These are the most common issues your doctor can recommend hormone replacement therapy for. However, there are also exceptions – a pre-existing condition can prevent you from undergoing HRT even if you have one of the above problems. Similarly, your doctor can recommend HRT for a medical condition that is not listed above. HRT success is highly dependent upon individual factors. What Types of Hormone Replacement Therapies Are Available? Low-dose vaginal products – they are typically recommended for symptoms associated with vaginal discomfort, but can also work for hot flashes and night sweats. There is also a wide variety of administration methods. Your HRT medication can come in the shape of pills, spray, cream, tablet, vaginal ring, suppositories and many others. While some HRT medication may be available over-the-counter, we strongly recommend you do not try to medicate yourself. When taken without medical counsel HRT can have serious side effects: headaches, mood changes, bloating, vaginal bleeding, and nausea are just a few of them. If you think hormone replacement therapy may help you alleviate some menopausal symptoms, see an OBGYN in Barrie, Ontario and speak about your problems openly. Only a skilled physician, with proper training and years of experience in helping menopausal women with the right therapies can prescribe the right medication and dosage.